If you've ever met Neil Kurland, you know that he is not easily forgotten. In addition to his memorable charisma, he brings with him an excited and energized attitude that permeates every interaction he has. He brings this same excitement to every show that he plays, and revels in passing it on to his audience. Born in Baltimore MD, Neil came up in the world of Hip-Hop and Baltimore Club, playing alongside such luminaries as Karizma, Scottie B and DJ Spen. 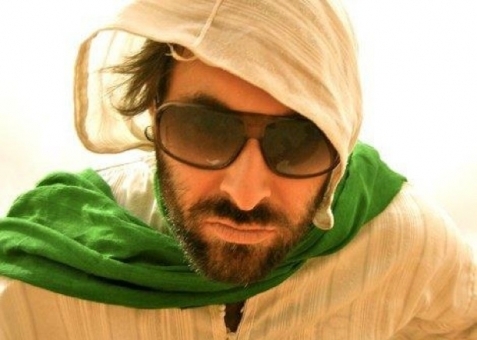 Known for being a master of the art of turntablism, and for genre-bending sets of house, hip-hop and intelligent drum & bass, he's graced the decks of such legendary parties as Miami's Afternoon Delight ("5 Best WMC Daytime Parties" by MixMag UK), Ultraworld's Starscape Festival, Camp Bisco, Future Classics, and Resident at Baltimore's Mosaic lounge (twice listed as Spin Magazines "Best Nights Out in America"). Although still a lover of the music of his roots, Neil has settled firmly in the realm of house music where he has made an indelible mark. Famous for marathon sets of tech house splashed with deep tribal undertones, heavy hitting percussion, and infectious dirty bass lines, Neil is truly the dancer's DJ. This focus on the dance floor has helped to launch his career to new heights. As co-owner of Soul Mob Productions, Neil co-founded the epic Visionary Solstice Gatherings that have hosted such acclaimed artists and musicians as Alex Grey, See-I , Fort Knox Five, and Shpongle. Also Neil is co-producer of the Future classics events in Miami, listed as the largest pool party of 2011 WMC. He's also stays true to his underground roots as a resident of the Philadelphia Experiment (PEX), a burning man based community throwing the biggest underground events on the east coast. Neil has been playing events throughout the world, and has shared the stage with some of the biggest names in electronic music including Spongle , Bassnectar, Deadmau5, Timmy Regisford, Ultra Nate, LTJ Bukem, and Infected Mushroom, just to name a few. Neil has recently signed with Ospina Digital, owned by world renowned Producer/DJ Davidson Ospina. Neil's first collaboration with Ospina, "Dizzy" hit the charts hard, rising to number one on Stompy. (www.stompy.com) "Dizzy" was heard around the world thanks to international stars such as, Groove Assassin, Richard Earnsaw, Shur-I-Can, Inland Nights, David Penn, Marques Wyatt and many more. Massive projects are in the works for 2012 guaranteed to light up the charts. Neil continues to expand internationally playing at events around the world as demand for his music pulls him to new places with fresh ears and steady dance floors. With over a decade of experience already under his belt, the future looks to be even brighter for this rising star, and Neil Kurland is definitely someone to keep an eye on.